Make sure you have enough taxes withheld or the result could be disastrous. When it comes to tax withholdings, sometimes more is less. The more you have taken out of your paycheck, the less you will owe the Internal Revenue Service. Making sure that you have enough withheld from your check can be complicated but the IRS provides you with some tools to make paying your taxes much less painful. Believe it or not, Uncle Sam doesn’t tax all of your income and withholding allowances are the key to how much of it is taxed. 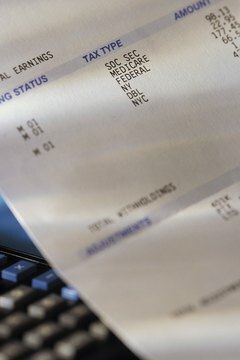 As of 2012, the withholding allowance for each person is $14.62 per day, $73.08 per week or $316.61 per month, depending on how often you get paid. For example, if you earn $400 every week and claim two allowances, your withholding allowance is $146.16, leaving $253.84 as the taxable part of your income. How Much Tax Should You Withhold From Your Check? Not withholding enough taxes is a spiraling effect that can really put a damper on your savings. You will owe the IRS, and be forced to dip into your shoe fund, which can really ruin your mood. You get the picture. Taxes can get expensive if you don’t plan ahead. There really isn't a magical number that will save you from an IRS nightmare. Just fill out Form W-4 and claim only what you have to, or don’t claim any exemptions at all. You can also use data from last year's tax return. If you owed money, claim fewer exemptions this year. How Much Tax to Withhold for an Annuity? You're probably not even close to the legal retirement age, so worrying about paying taxes on a deferred annuity is decades away. If you own an immediate annuity, part of the income is taxable. There is no special rate that the IRS uses to tax annuity payments because they are taxed the same way as your ordinary income. To make sure you are withholding enough from your annuity payments, fill out Form W-4P and hand it in to the insurance company. Just consider all of your income when filling out the form and you should be fine. Independent contractors generally don’t have the luxury of having income taxes withheld from their paychecks. Because of this, an independent contractor should pay the IRS quarterly or they could potentially drown at the end of the year. There is no set amount that someone who is self-employed should pay to save himself from an income tax disaster. 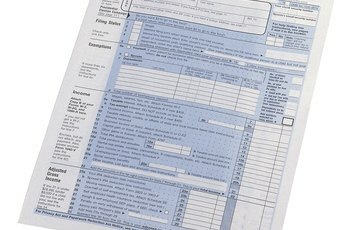 Use Form 1040-ES to figure your estimated tax and send in your own tax payments every quarter. When you work extra hours, a large share of your bonus earnings will go straight to the tax collector. The number of hours you work and your hourly rate will always affect how much your employer holds from your check. Your taxes are calculated using a tax bracket and the higher your income, the higher the tax bracket. Of course, your filing status and withholding exemptions can minimize the damage, but you should always take into account that more wages equal more taxes. 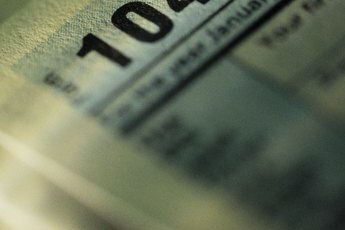 What Causes a Tax Refund to Decrease? 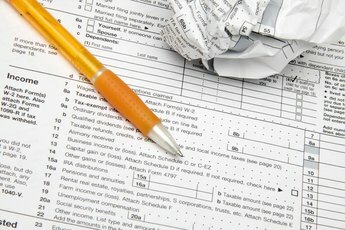 What Is the Percentage of Federal Taxes Withheld From Retirement Benefits?